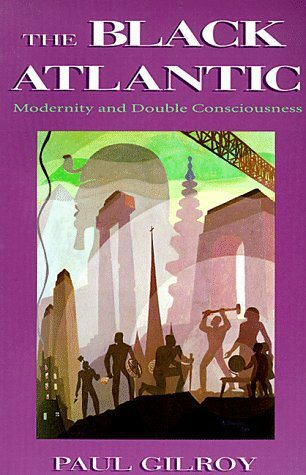 Africa in Words is running a series of posts on Paul Gilroy’s The Black Atlantic: Modernity and Double Consciousness, in celebration of the 20th anniversary of its release. Click here to read the second post of the series and here to read the third. “This year, Gilroy’s Black Atlantic completed twenty years of its publication. This book has been used by many scholars in history, anthropology, literature and sociology, and became very influential. It also provoked many criticisms. This is the first of a series of posts about the uses of Black Atlantic in recent scholarly production. Africa in Words invited academics to write about how they used Gilroy’s theories and concepts in their own work. This work is very important and arguably the standard in the world of studies on blackness across the globe. Speaking of Brazil, this is a classic and many Afro-Brazilians who write dissertations in areas of the Social Sciences about blackness and black identity from a global perspective cite and reference this book liberally. @gatasnegrasbrasileiras: Agreed. The Black Atlantic has been challenged (Colin Dayan’s 1996 essay in Research in African Literatures comes to mind first, but there are others). But it is impossible to discuss the black Atlantic/African diaspora/Afro-Atlantic/Atlantic world without at least engaging the text.